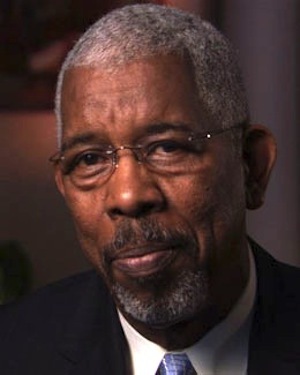 Ernest “Rip” Patton, Jr., a civil rights activist and a veteran of the Freedom Riders, was born in 1940 in Nashville, Tennessee. From a young age, Patton desired to see societal change due to his childhood memories of observing the harsh effects of racial segregation in his neighborhood. Patton attended Tennessee State University in 1960 (then called Tennessee Agricultural and Industrial University) where he was a drum major in the marching band. His goal was to become a music teacher or band director. However, he was also eager for change in his hometown, and he put his music interests aside when he had an opportunity to fight for racial equality by joining the newly formed Nashville branch of the Student Nonviolent Coordinating Committee (SNCC) in 1960. Patton participated in the Nashville student movement through sit-ins, stand-ins, and boycotts. To prepare for action, students went through intensive “boot camp” trainings to learn about nonviolence philosophies and practiced tactics through role-playing. The first of four sit-ins occurred on February 13, 1960, just over a week after the February 1 sit-ins in Greensboro, North Carolina, which were considered the first direct protest action of the 1960s. On the fourth Nashville sit-in, eighty-seven students were arrested, which pushed the wider Nashville black community to join. Patton and other students in the Nashville nonviolent, direct action campaign made notable progress, as they successfully integrated downtown lunch counters by the end of 1960. However, it took civil rights activists like Patton four years to desegregate the whole city. Protests in Nashville prepared students to continue their activism in the larger movement sweeping the south. As a twenty-one-year-old student, Patton traveled to Montgomery, Alabama, to provide assistance to the Freedom Riders. Patton officially joined the Freedom Riders on May 24, 1961, in the Greyhound bus traveling from Nashville to Jackson, Mississippi. The Freedom Riders were intergenerational and interracial men and women who courageously traveled together on buses and trains to challenge segregation in the interstate transportation system. Due to widespread racism and, in particular, opposition to racial integration, the Freedom Riders met ongoing mob violence, bombings, and imprisonment. When Patton’s bus reached Jackson, he was arrested. Along with three hundred other African Americans, Patton was taken to the notoriously brutal Mississippi State Penitentiary, also known as Parchman Prison Farm. Because of his involvement in the Freedom Riders, Patton was one of fourteen Tennessee State University students expelled for their activities. Later given the opportunity to return to Tennessee State, he decided instead to pursue other interests, and, as a result, he never finished his degree. He worked various jobs, including as a jazz musician and a long distance truck driver. In 2011 he was also featured in Freedom Riders, a PBS documentary based on the book by the same name. Today, Patton, a renowned community leader, spends time sharing his experiences from the Nashville student movement and Freedom Riders to various civil rights tours of the Deep South. Patton also regularly speaks to groups around the country, especially young students. Through telling his personal story, Patton brings light to the stories other important foot soldiers he worked with during the American Black freedom struggle.